Our next art is focusing on various forms of self-care–something many of us do not do enough of, much to our body and soul’s detriment. Vigorous massage using the feet or hands, delicately on the hair giving it an aesthetic set. I have tendinitis in both my thumbs. This kinda gets in the way when I’m working on a project, writing, or typing. Hell, it gets in the way of sleeping if the flare-up gets bad enough, and some nights it has. 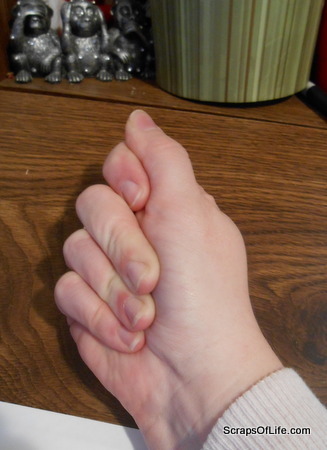 While it may sound counter-intuitive to poke an aching area, my first inclination has always been to make a sort of fist with the hand that hurts, using the last 3 fingers to apply pressure to the padded bit below my thumb, where the pain concentrates. And it helps. It’s the same way when we bump into something we grab at or rub the affected area. Part of that is, I’d imagine, is to check the level of damage done–is there a knot? is there blood? how bad does it hurt?–but it also serves the purpose of soothing, both physically and emotionally. Emotionally? Yes–haven’t you ever rubbed a friends back when they’re upset as a way of saying ‘I know it hurts, but I’m here for you’ when words maybe weren’t possible or felt inadequate? I know I have. And this (again, this is me theorizing on the topic, so don’t take it as gospel) is where I think the practice of massage comes from. Our bodies know instinctively what to do in so many situations, and one day someone must have noticed and it became a thing and a practice instead of just a reflex. And then as we learned more about physiology and the way the nerves run through our bodies, it made more and more sense to press area A to relieve tension in quadrant 3. These days massage therapy is done by licensed professionals and, in a lot of cases, should be left up to them. Along with knowing how we can help by apply pressure in just the right spot in just the right way, came the knowledge of how pressure applied the wrong way, at the wrong angle, or to the wrong spot could cause more pain or severe damage to affected systems. And only the person in pain can determine the difference between ouch-pain and ooh-that-hurts-but-it’s-helping-pain, so make sure you’re listening if you’re lending a hand to a friend. Start with gentle pressure and move to firmer pressure if you feel the spot warrants it. Don’t start with deep-tissue massage techniques until you’ve tried a gentler method first so as not to aggravate an already painful area. Don’t depend only on your thumbs. A friend of mine did go through massage therapy school and shared that the biggest occupational hazard seemed to be damage to the masseurs thumbs from all the pressure put on them. So use your whole hand, the palm of your hand, or a handheld massage tool if you like to keep from causing injury to your hands. Keep track of your breathing and mood. If you’ve every gone in for a massage treatment, the lights are usually soft, the music or ambient noise is low–it’s all to get you to relax. Massage works on muscle tension, and it’s going to be super-tough to work out a knot if the rest of you isn’t cooperating. Take some deep breaths and concentrate on positive thoughts while you massage. Short sessions spread out over the course of a day may be more helpful than one longer, more intense session. Just like in exercise where the muscles get used and then are allowed a resting period to relax and repair, massage spread out over time may have more lasting effects than a single session. When you’re working a single spot–like a sore shoulder or a charlie horse in your leg, try for just 30 seconds and then wait a while. If your skin is dry or sensitive, adding lotions or oils could prevent irritation. It doesn’t have to be anything fancy–just your usually moisturizer or body lotion will do–or you could go the essential oil route (just make sure your using diluted oils–never apply essential oils directly to the skin as their concentrations can cause unpleasant skin reactions). For a sports injury or other irk with an obvious cause, using a product like Ben-Gay or IcyHot could, of course, also work to help ease that sort of inflammation of tissues. Ultimately the directive is simple: take care of your body and it will take care of you. We ask a lot of ourselves throughout the days, weeks, months, and years, it’s only fair that we give something back to it. And what does this have to do with living creatively? Physical pain is not generally considered a creative motivator and takes our focus away from what we’d like to be doing. Taking care of ourselves makes sure we’re able to act on those creative urges when the muse calls. 4 Months and Counting Down!